China plans to limit the number of cars allocated to central government officials, the 21st Century Business Herald newspaper reported, undermining sales prospects for the Volkswagen AG Audi brand, which dominates the official fleet. Central government agencies and the Communist Party will be allowed one vehicle for every 20 employees as public agencies seek to reduce spending, the newspaper reported, citing an official statement that hasn't been released to the public. The new policy will also reduce the maximum allowed engine size and cost of officials' vehicles, the report said. The move comes as Premier Wen Jiabao pursues a crackdown on power abuse by officials amid China's growing wealth gap. Audi boosted first-quarter sales in the country by 25 percent year-on-year to 64,122 vehicles. The German luxury brand aims to more than double its local dealerships to 400 by end of 2013, Audi China chief Dietmar Voggenreiter said last month. The information office of China's State Council did not immediately respond to a request for comment. 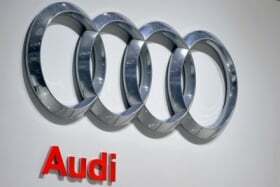 Liang Liang, a spokeswoman for Audi in Beijing, also said she could not immediately comment. Under the new policy, cars used by government agencies must have engines no bigger than 1.8 liters and cost no more than 180,000 yuan (19,572 euros), the newspaper reported. Currently, government vehicles can have engines as large as 2.0 liters and cost up to 250,000 yuan, the report said. Local government agencies will cap their fleets following standards set up by provincial authorities, the report said.